Many don’t know that Iran is (at best) 50% Persians. There are many other ethnic groups in Iran, including Arabs (over 5 million!). 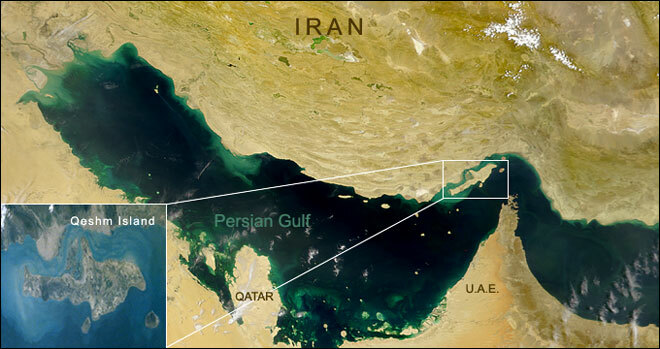 What many definately don’t know is that the biggest island in the Persian Gulf is not Bahrain, rather it is Qeshm (also called Jasem or Jazeerah Al Tawilah by the locals) which is twice the size of Bahrain, and unlike Bahrain (which is over 60% Shia), Qeshm is traditionally Sunnis-Shafi’i (minus the occupying the Basij, Revolutionary Guards and Shia Mullahs and their families from Qom, Isfahan etc.). Iran is killing Arab Sunnis in Syria (actively with their rotten Revolutionary Guards, not just by adding a tyrtant secularist Alawite tyrant) and Zionist are killing Arab Sunnis in Palestine, but what many don’t know is that Iran is not just oppressing the Arabs of Ahwaz in Iran, but just recently Iran committed a massacre against Iranian Arab Sunnis in the coastal area of Iran (most southern Iranians are Persian Shafi’i-Sunnis with some small Arab Shafi’i Sunni communities in the coastal areas and on Iranian islands). The Arabs of the coastal areas of south Iran and Iranian islands are not to be confused with Ahwazis (who live far away in Ahwaz/Khuzestan, they are traditionally Shias – like southern Iraqis – with a notable Sunni minority, especially since the rise of Sunni conversions among many Ahwazis. Even their accent and traditions are 99% identical with Iraqi traditions), they are both Arabs, but Arabs of Bushehr and Hormozgan of Iran are Gulf Arabs, their traditions (man and womenfolk), accents etc. are identical with all Gulf Arabs (particularly UAE and Bahrain), many of them are Persianised, but not even the Safavids managed to convert them to Shiism (and many Arabian elements can be found in the daily life of Persianised Arab Iranians, such as their dress, style of wedding etc.). They are one of the most deprived people of Iran (just like all religious and ethnic minorities, especially Sunnis) and them being Arab and Sunni makes them even more of a target for the fashist Iranian Shia regime. This entry was posted in The Neo-Safavid State, The People of the Sunnah in Iran. Bookmark the permalink. 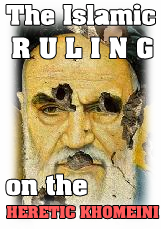 ← More Ex-Shias inside Iran and the Mullahs answer with torture!